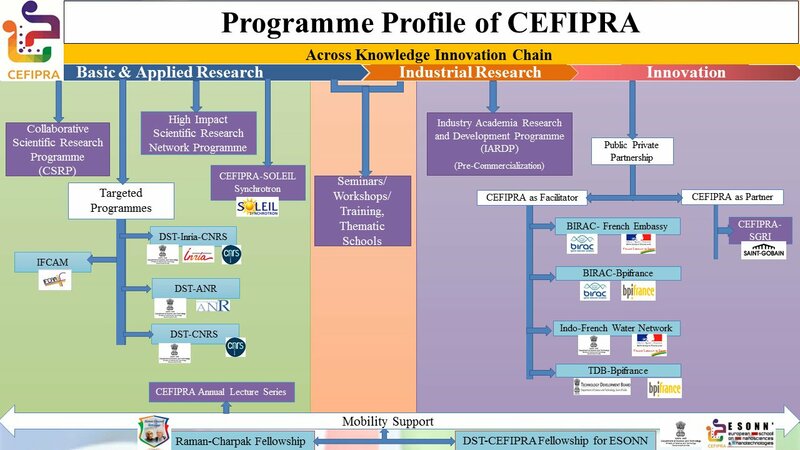 CEFIPRA initiated its first targeted programme in 2012 between Department of Science & Technology (DST) and Institut National de la Recherche Agronomique (INRA) in the area of integrated water management in agriculture in the context of climate change. Sustainable management of water for agriculture is one of the challenges being faced by countries like India where almost two thirds of the population is dependent on agriculture. Challenges in water management arise from a range of issues associated with supply not being commensurate with the demand, rising population, changing monsoon patterns, inadequate measures for management of water resources to name a few. Effective water management strategies result in strong social and economic impact. Scientists and ecologists are thus addressing issues of development of sustainable water management which are economical and socially acceptable. Considering the importance of integrated water management in agriculture in the global context, a Call under first targeted programme was launched by CEFIPRA in the domain of “Integrated water management in agriculture in the context of climate change”. The focus of this call was to promote integrated collaborative research projects aimed at linking agricultural production systems and natural resource management, in particular water, and their adaptation in a context of climate change.